Israel denies reports that terrorist Mohammed Merah visited Israel several years ago and was arrested by police. Israeli authorities denied on Friday the reports that Mohammed Merah, the terrorist who murdered seven people including a rabbi and three young children in Toulouse, visited Israel several years ago and was arrested by police after a knife was found on him. The claim that Merah was arrested in Israel was made by the head of France's intelligence agency, Bernard Squarcini, in an interview with the French Le Monde newspaper. Channel 2 News reported on Friday that the Israel Police and Israel Security Agency (ISA) have investigated the claim and have found that there is no indication that Merah was arrested in Israel. The report said that the police and the ISA have been trying to trace Merah’s movements in Israel and have ​​contacted Interpol to try to find out which identity he may have used when entering Israel. Also being investigated is whether Merah entered Israel alone or with other people, as well as the purpose of his visit. On Thursday, an American officer serving in Afghanistan told Le Monde that Merah’s passport had been stamped with entry to and exit from Israel. The National Immigration Authority said later that an initial investigation found that Merah never visited Israel. Kol Yisrael radio reported that the National Immigration Authority said that the terrorist's name, as published in the media, was not found in the list of arrivals to Israel. The authority added that it is continuing to investigate the matter. Meanwhile, the terrorist's older brother said Friday that he is very proud of his younger brother, according to a report in the French newspaper Le Point. According to the report, the brother who has been held in police custody since Wednesday, told police that he had no regrets and that he supports his younger brother’s actions. 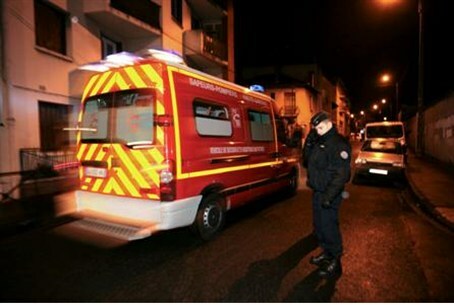 On Friday, French police extended the remand of Merah’s brother, mother and girlfriend. Officials said Merah's brother, Abdelkader Merah, is himself a radical Islamist, and that traces of what could be an explosive material were found in his car. Also on Friday, French authorities sought to defend their actions amid reports that Merah had been under surveillance, yet still managed to carry out his terror attacks.